Sensex plunged by 90 points to 35,450.69 and Nifty is at 7,793 level with a slight decline of 7 points. [New Delhi]: The Indian stock market is open with the fall in the fear of rising trade war between the US and China. 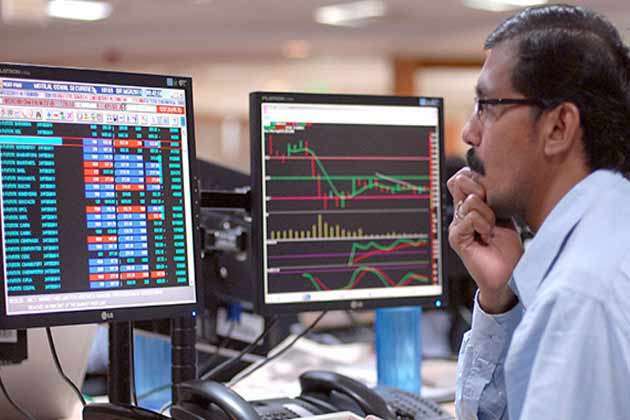 The index of the Bombay Stock Exchange (BSE), where the BSE Sensex inched up by 90 points in early morning at 35,450.69, while the National Stock Exchange (NSE)'s index Nifty opened at 10,793 level with a slight 7 points fall. During this, sells in Coal India and Vedanta Limited shares are being seen. Coal India is trading at a level of 271.85 with a fall and Vedanta Limited is trading at 227.40 with the weakness of 2.11 percent. On the National Stock Exchange, the Midcap Index is trading 0.47 percent and Smallcap 0.49 percent down. Since the announcement of introduction of new tariffs by US President Donald Trump, China's stock market has broken more than a percentage point. Due to this, all the mixed signs in the Asian market are being seen. At 9 am, Japan's Nikkei with 0.87 per cent weakness, at 22482 levels, China's Shanghai 2.48 per cent with weakness at 2946 level, Hangsang at 1.9 9 per cent with weakness at 29735 and Taiwan's Kospy 0.67 per cent weakness With trading at 2360 level. At the same time, due to the growing trade-war prospects between the US and China last season, the American stock market has closed down with the mixed signals. The main index, Dao Jones, closed at 24747, with the weakness of 0.41 per cent, S & P 500 was down by 0.21 per cent to 2773 level and Nasdaq 0.01 per cent to close at 7747 level. France wins 2018 FIFA World Cup! How do I earn money online with investment?